People who suffer from insomnia are more likely to have damaged brain connections, a new study has revealed. Published in the journal Radiology, the study identified abnormalities in the brain’s white matter tracts in insomnia patients. White matter tracts are “mainly involved in the regulation of sleep and wakefulness, cognitive function and sensorimotor function”. Researchers now want to conduct larger studies to clarify the relationship between white matter abnormalities and insomnia. 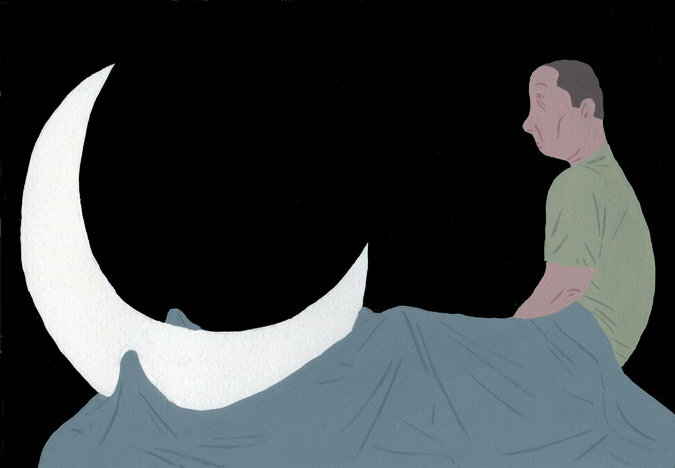 Primary insomnia is where individuals experience difficulty sleeping. It is associated with daytime fatigue, mood disruption and cognitive impairment, and can also lead to depression and anxiety disorders. Insomnia is thought to regularly affect around one in every three people in the UK, and is particularly common in elderly people. Shumei Li and a team of researchers, from the Department of Medical Imaging in Guangdong No. 2 Provincial People’s Hospital, China, set out to analyse the white matter tracts in insomnia patients and the relationship between abnormal white matter integrity and the level of insomnia. According to Li, white matter tracts are “bundle of axons - or long fibers of nerve cells - that connect one part of the brain to another”. “If white matter tracts are impaired, communication between brain regions is disrupted,” she explained. The study analysed the brains of 23 patients with primary insomnia and 30 healthy control volunteers. To evaluate mental status and sleep patterns, all participants completed questionnaires about sleep quality, insomnia severity, anxiety and depression. Each participant also underwent brain MRI scans, which used a specialised technique called diffusion tensor imaging (DTI). This allows researchers to analyse the pattern of water movement along white matter tracts to identify whether they are damaged or not. The results showed that, compared to participants from the healthy control group, insomnia patients had significantly reduced white matter integrity in several right-brain regions as well as the thalamus, which regulates consciousness, sleep and alertness. Additionally, abnormalities in the thalamus and body corpus callosum - the largest white matter structure in the brain - were associated with the duration of patients’ insomnia and how depressed they felt. “The involvement of the thalamus in the pathology of insomnia is particularly critical, since the thalamus houses important constituents of the body’s biological clock,” Li added. Researchers believe abnormalities of white matter integrity in insomnia patients may be due to loss of myelin, the protective coating around nerve fibers. They added that larger studies are needed to clarify the relationship between altered white matter integrity and insomnia.